This is a picture of Tomato Rocky, the closest thing I have to a McLaughlin family heirloom, as opposed to (Swalley family heirlooms which we received from my wife's family). I grew up in NJ. My father set the example in our family for the love of gardening. We grew most of our vegetables and fruit (23 or 24 different types of fruit on one acre!). Some of my fondest memories revolve around time spent in the garden with my Dad, and in the kitchen with Mom. In 1973 a good friend of ours, Rocky Mastrodomenico (Mastro for short) gave my father seed of this tomato. One of Rocky's Italian friends had brought the seed back from Italy, when visiting family. He grew it in northern New Jersey and commented to friends what a great tasting tomato it was. Rocky and another friend went up to see it. When they got there, their friend wasn't in. They still went around and examined the tomato, in the garden. They were impressed. Rocky picked up a rotted fruit, from off the ground and got his own seed. A few years later he shared with my father. My father dubbed the variety "Tomato Rocky." Rocky simply called it "that Italian tomato." Dad grew it the whole time I was in high school. But it proved susceptible to late blight and we had lots of problems with that. So, by the time I left for college he stashed his seed and moved on to other varieties. I went through college, was married and went on to grad school (Grace Theological Seminary). In 1983 I became exceedingly interested in preservation. So, I wrote my father, asking if he still had seed to Tomato Rocky. He sent me some and I grew it in Winona Lake, Indiana. Tomato Rocky produced like gangbusters in Indiana! We had plenty of fruit for paste, fresh eating and even for drying. Tomato Rocky proved superior for drying. The flavor of this tomato, when dried, was phenomenally strong. We could eat it just like dried fruit! But after seminary we never lived anywhere that it did particularly well. For years, I would plant this one and get back only one or two tomatoes per plant sown. It would start to set fruit and get hit hard by blight, dying after only producing a couple of fruit. In Mexico, where we spent 13 years, I only succeeded in harvesting any tomatoes, of any type, just once. Rocky wasn't among those. Fortunately I had distributed seed to others before leaving the country. When we returned to the USA, in 2001, I obtained more seed and tried again. But, again, in NJ, I only got a "dribble of a crop." Moving to Oklahoma only made our "dribble" dry up more. Tomato Rocky didn't do well in extreme heat. But I continued growing it, about every other year. This year I did some things differently with it. First, I planted it right at the front of the garden. For some reason, anything at the very entrance of the garden does best. Perhaps the saying is true, "The gardener's foot prints are the best fertilizer for a garden." Secondly, I laid a deep leaf mulch BEFORE planting. This would prevent any splashing of soil on its leaves. And, thirdly, the plant has enjoyed milder temperatures and more abundant precipitation. I have also watered when necessary. Here's a picture of some of the harvest. 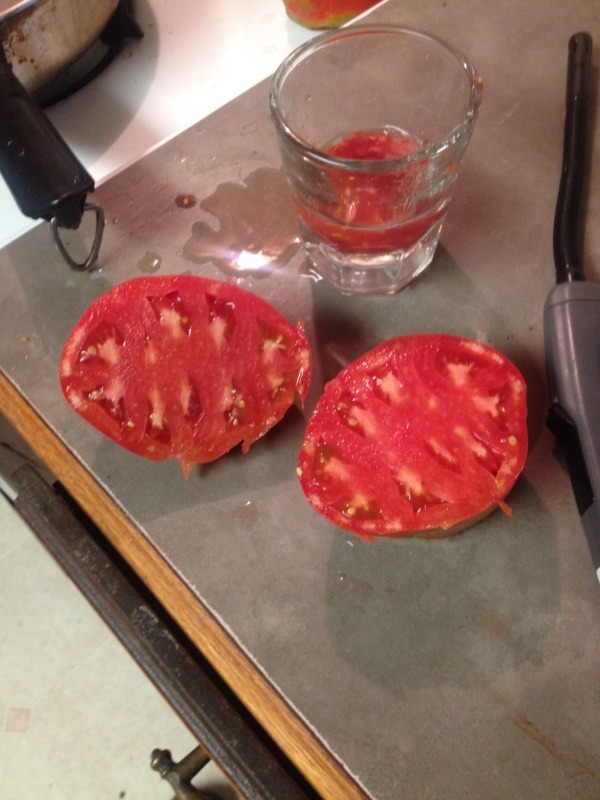 Here's a picture of the interior of this tomato. Notice, that it is a plum shaped beefsteak. Most plums are not beefsteaks. I do have hope of producing a productive cross of Tomato Rocky. I had a cross once. But the cross was worthless. But now, when I plant it, I plant it adjacent to another good plum tomato, in hopes that a cross will turn up; one which is more resistant to blight and heat. Whenever that cross appears, I will select for the traits I want. In the mean time, I will experiment with ways to produce Tomato Rocky more and more dependably. As a rule, however, it is best to focus primarily on varieties which are best adapted to our region. Just keep in mind that some varieties will have superior traits set in a mix of inferior traits. True preservation varieties often will not compete with the latest and greatest. Still, they have value. I've stopped planting Tomato Rocky next to any other variety. That was only an experiment for a year or two. If it crosses now, the pollen will have to make quite a leap. What I have done is work on learning to help this variety to work in our conditions. I've learned to mulch it IMMEDIATELY after planting, as it is quite susceptible to early blight, which happens when soil is splashed onto the lower leaves during a storm. I plant it where I will see it every time I enter the garden. That way I water when it needs it. This summer I took cuttings which should get planted out by this weekend. I suspect this variety will do well in the fall. Our summer has been quite unusual in 2017. There has been so much rain and cooler temperatures (at least until this week (2nd/3rd week of July) that Tomato Rocky has done unusually well. Here's a picture of the foliage of this variety. It's what I term "wispy." The vine is truly a vine, too. It makes multiple vines, coming from the base of the plant. These vines do not stand up on their own. They want support. I spend time weaving them into the cage. Leave cover is not great with this variety. So caging and NOT pruning is important, for the protection of the fruit. One more lesson learned from this tomato: I have known this variety since I was in my teens, yet it took until 2016 for me to realize that it is not a paste tomato. It produces some juicy plum types and, of all things, oxhearts! Look at the cross cut photo in the first posting above. That's an oxheart. It amazes me how hard I have to work at observation. For decades I've been handling this tomato, yet because Rocky called it an Italian paste tomato, my father and I just accepted that, ignoring what we saw every time we processed them. There is great value in setting back and looking at varieties as if for the first time, and making new observations. Write them down. No matter how well one thinks they know a variety, it's probable that they can still learn more. Somehow, I've found growing other varieties can help you appreciate some of the ones you always have had! 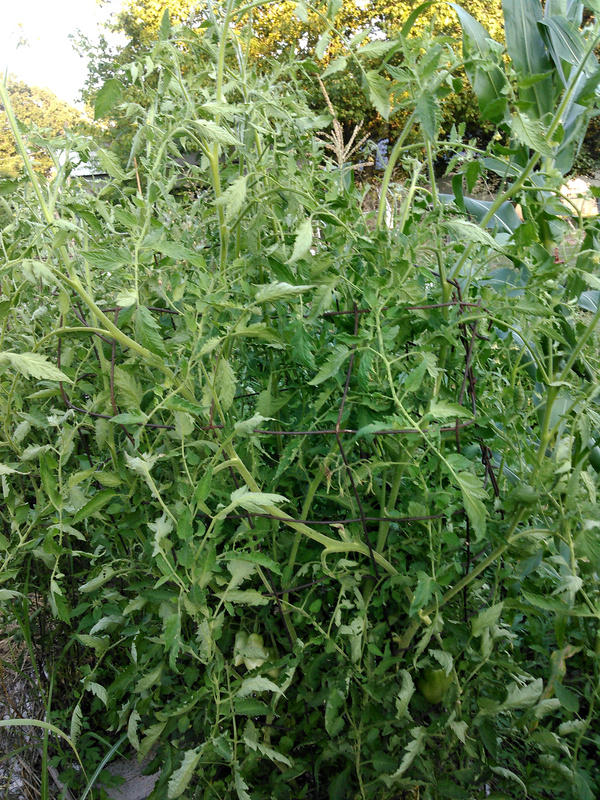 I agree with the mulching, it does wonders to help keep the diseases off the tomatoes. One year I tried plastic mulch but the tomatoes didn't seem to like that as much as a nice thick coating of hay or straw. I think the tomatoes really respond to the nice evenly moist environment under the mulch. Plus earthworms will come in and the soil becomes nice and soft too. 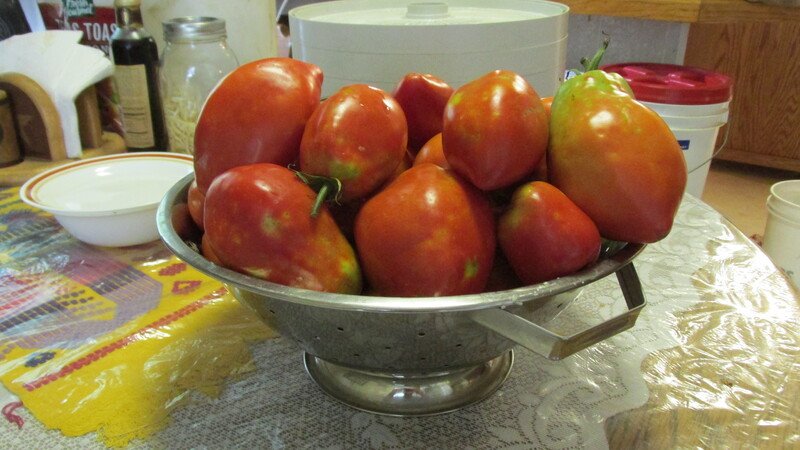 Several years ago a friend of mine from Tennessee gave me some un-named seeds of a big paste tomato it has become my favorite. 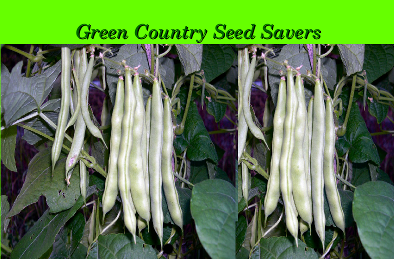 It is great for canning because it is meaty with very few seeds. The fruit looks just like the ones you pictured above, but most interestingly to me is the whispy foliage. When I first started growing it I thought something was wrong with it, as the plants are always slightly slower to start and they have that very unusual (whispy, droopy) look to them. It has become a must grow for me every year. It is clearly superior to any other variety for canning. It takes very few of them to fill a quart jar! It would probably take twice as many Roma's to fill a jar. You never know. Your tomato might be a relative of Tomato Rocky!